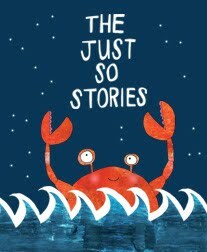 And the last theatrical Christmas announcement this year (unless someone is putting on a production of mine in secret somewhere and hasn’t told me about it) is that Red Table’s production of The Just So Stories, as seen at this year’s Edinburgh Festival, is going to be touring to St Albans this Christmas. Here are some reviews of the production from Edinburgh. The show is playing at the Trestle Arts Base in St Albans from Sunday 18 December to Tuesday 20 December, and tickets are £10 for adults, £8 for children, and £32 for a family ticket. Find out more and book tickets at the Trestle Theatre website.